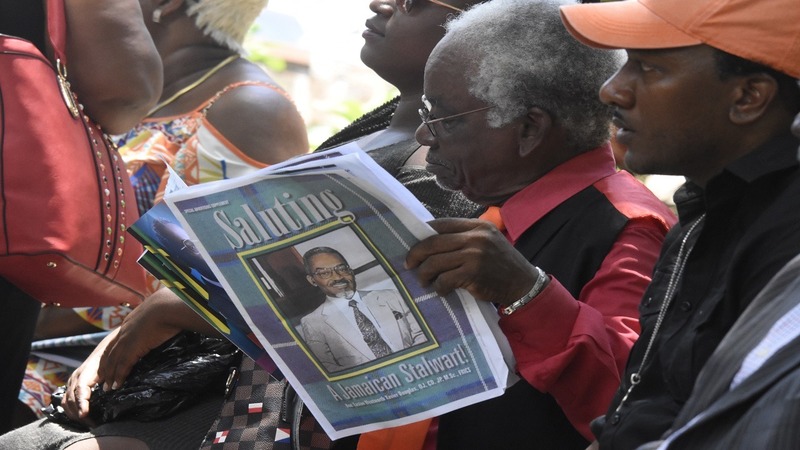 Hundreds turned out at the St Andrew Parish Church on Wednesday for the official funeral service of former minister of government, Easton Douglas. 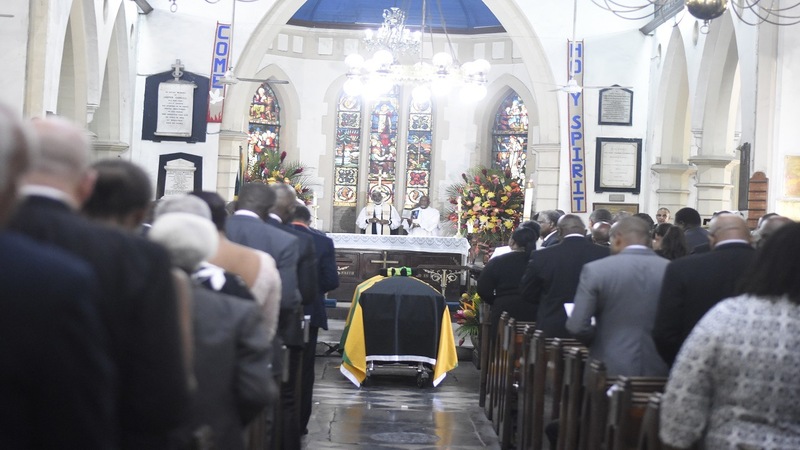 The packed church, with mourners drawn from different strata of the society, was treated to a historical lesson on a Jamaican political stalwart who touched the lives of many during his tenure in the various capacities he served. 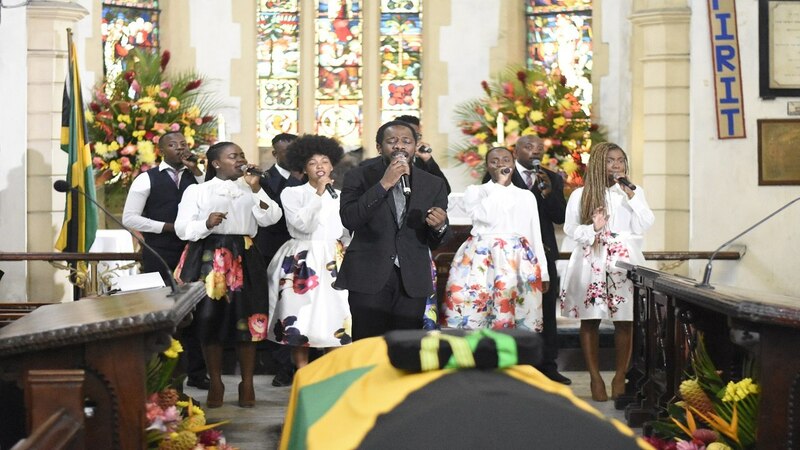 The congregation included Prime Minister and leader of the ruling Jamaica Labour Party (JLP), Andrew Holness, and leader of the Opposition People's National Party (PNP), Dr Peter Phillips. 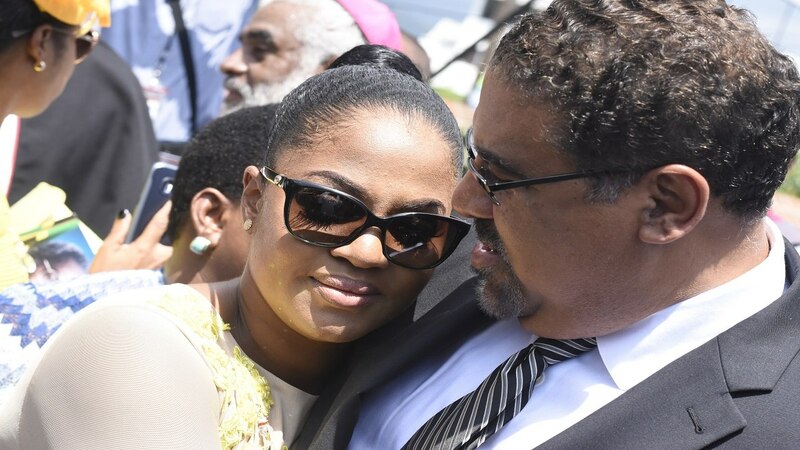 Douglas' daughter, Kari, councillor for the Trafalgar Division, is comforted by Member of Parliament, Dr Wykeham McNeil. Also in attendance were former prime ministers P J Patterson and Portia Simpson-Miller, both former presidents of the PNP, which Douglas was a member of. Many government ministers and officials as well as leading figures in the PNP and different sectors were also present. 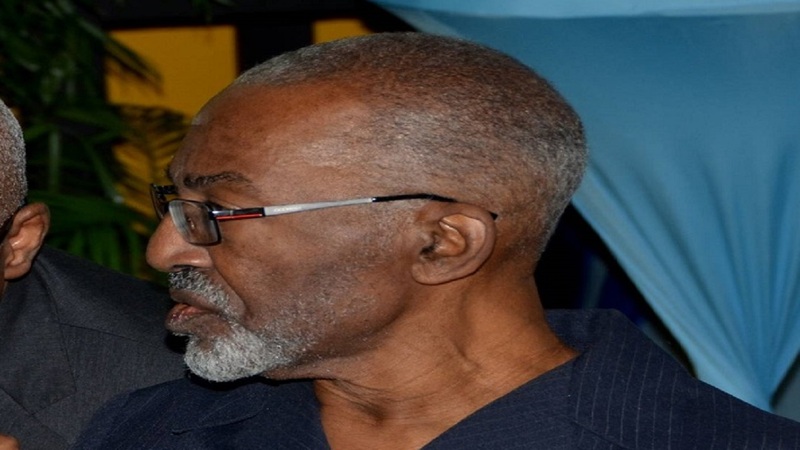 It was a solemn affair, with very little tears flowing, as speakers told Douglas' story that started with him being born to peasant parents from Old Harbour to being a policy maker in Cabinet while serving as Member of Parliament for South East St Andrew from 1989 to 2002. 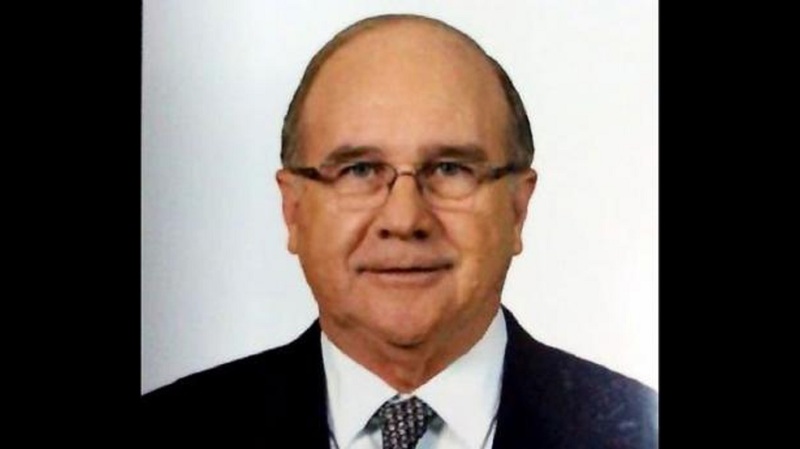 During that time, Douglas served as Minister of Health and the Public service as well as Housing, Land and Environment under Prime Ministers Michael Manley and Patterson. Dancehall artiste Wayne Marshall performs his hit song, 'Glory to God'. Holness and Phillips each read a lesson with Patterson and Simpson Miller giving tributes. Simpson Miller described Douglas as someone dedicated to the Jamaican people and the PNP and said his contribution to the island will not be forgotten. She said that Douglas developed and built infrastructure in South West St Andrew and throughout Jamaica, while being passionate to the cause of the less fortunate in the society. Patterson remembered his last talk with Douglas on August 16, when he visited him in hospital. Patterson said he was to leave the island and Douglas told him that he was fighting his illness and they will see each other when he returned. Patterson said their reunion never materialized as Douglas died before he came back to the island. 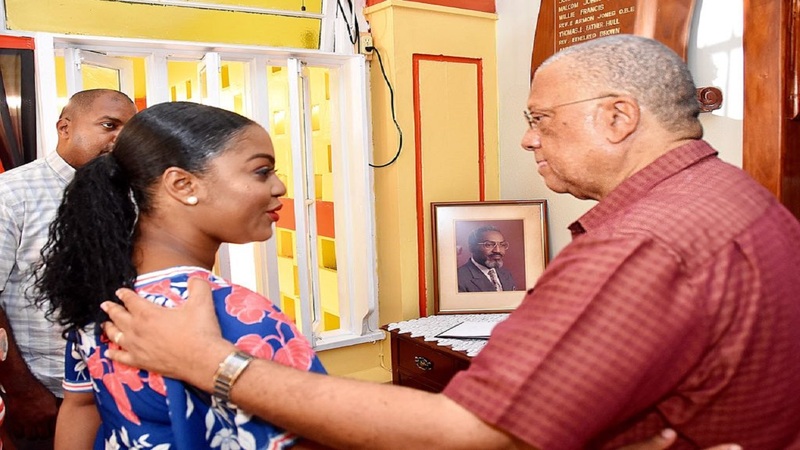 He traced their history together from Douglas' days at Kingston Technical until they served the people of Jamaica in the House of Parliament and even after Douglas gave up representational politics in 2002. Douglas' daughter Kari gave the remembrance with the sermon delivered by Reverend Robert Thompson.